The primary mission of Ravi Zacharias International Ministries is to reach and challenge those who shape the ideas of a culture with the credibility of the Gospel of Jesus Christ. 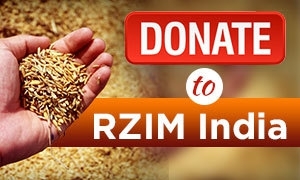 Distinctive in its evangelistic and apologetic foundation, the ministry of RZIM is intended to touch both the heart and the mind of the thinkers and influencers of society through the support of the visionary leadership of Ravi Zacharias. Our Five-fold thrust of evangelism, apologetics, spiritual disciplines, training, and humanitarian support is aimed at the mandate given in I Peter 3:15 which is to set apart Christ in our hearts as Lord and always be prepared to give a reason for the hope that is within us, with gentleness and respect, all for the glory of God.